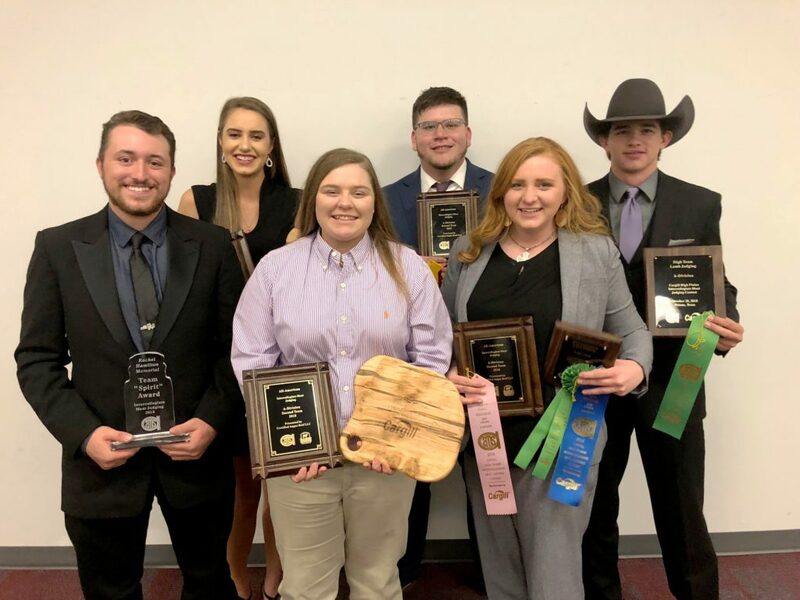 The Garden City Community College Meats Judging Team, coached by Dr. Clint Alexander, finished their fall Meat Judging season with a very successful event on Oct. 28 in Friona, Texas. 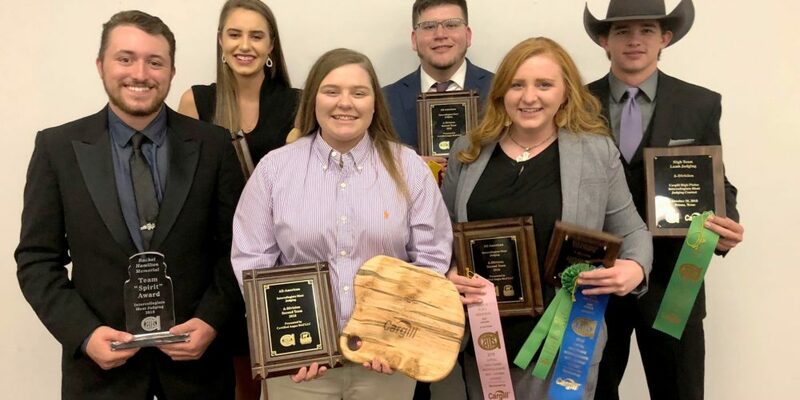 The team finished as Reserve National Champions and was also recognized as the High Team in Lamb Judging, winning the National Championship in Lamb Judging, beating the highest University team in competition by 44 points. This was a huge accomplishment for the group, which also celebrated a second place finish in the national competition in Beef Grading, Beef Judging, Questions, Placings, and Total Beef. The team finished third in Pork Judging. Out of the eight total All-Americans named at the meet, four were from GCCC. This honor combines judging performance with academic performance based on GPA. Joni Loepky (Satanta, KS) was named as 1st Team All-American, and members Micaila Lock (Wallace, KS), Bailee Hatch (Kersey, CO) and Jose Sanchez (Garden City) were named 2nd Team All-Americans.